Destruction of memory, denial of wrong doings, and burying evidence are all part of a systematic genocide. Although it is difficult to erase the memory of an entire ethnic group, one must destroy the root of all possible evidence. The destruction of libraries and museums are examples of genocidal intent. Books are encompassed with symbolic and intellectual significance, making them targets for over 55 centuries. Burning of books can be traced back to 4100-3300 BCE, as it is an easy way to destroy what embodies culture and history. By the late 19th century, Sinhala-Buddhist nationalism started to revive, so the Tamils of the island maintained their strength by identifying themselves with their language, culture, and territory. As the ethnic conflict worsened, tremendous hate on the Tamil civilians arised from the Sinhalese south. 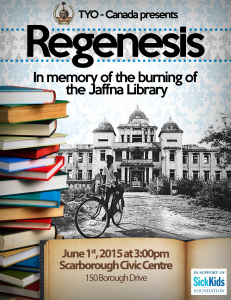 On the nights of May 31st and June 1st, 1981, Sinhala police forces set the Jaffna Public Library on fire. 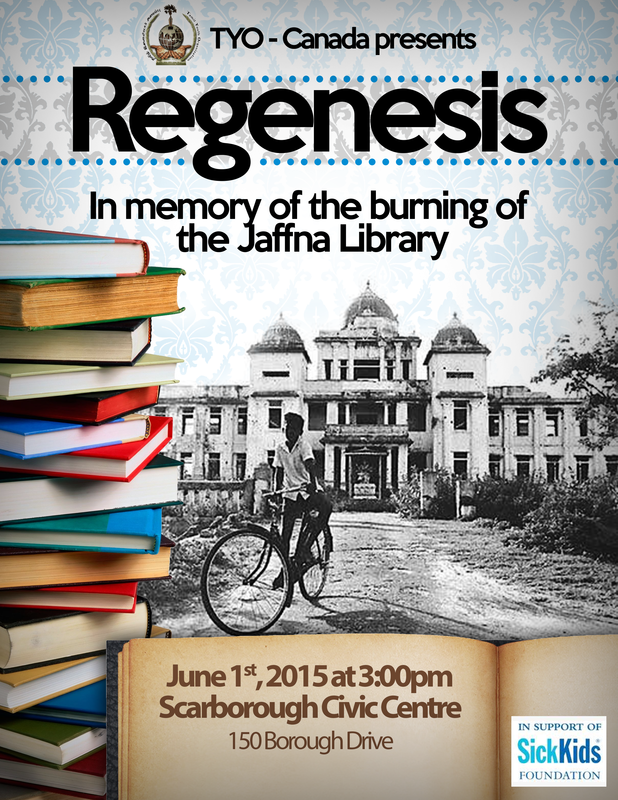 The burning of the Jaffna Library was yet another example of the cultural demolition by the Sri Lankan government. This library was known to be the largest in Asia and served great pride to the Tamil community. Even though the Jaffna Library was replaced 20 years later, the Tamils will never forget this horrific event. This entry was posted on Friday, May 29th, 2015 at 8:37 pm	and is filed under Cafe, History & Culture, News, Poetry/Art, Speak Out, Tamil History/Culture, Uncategorized. You can follow any responses to this entry through the RSS 2.0 feed. You can leave a response, or trackback from your own site.